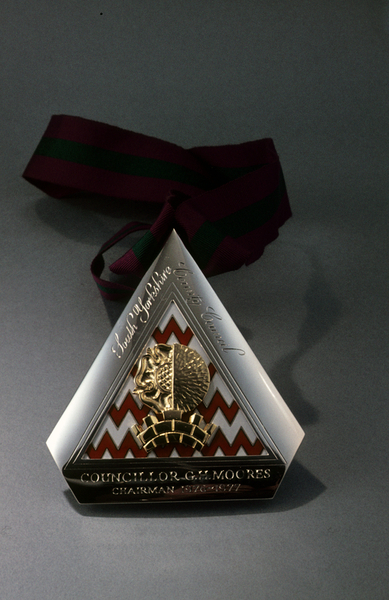 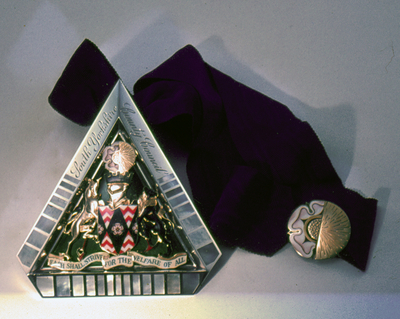 The Chaiman’s Badge made for South Yorkshire County Council, (the ‘Arms’ carved and enamelled by Alan Mudd, braided ribbon, with a carved and enamelled fastener). 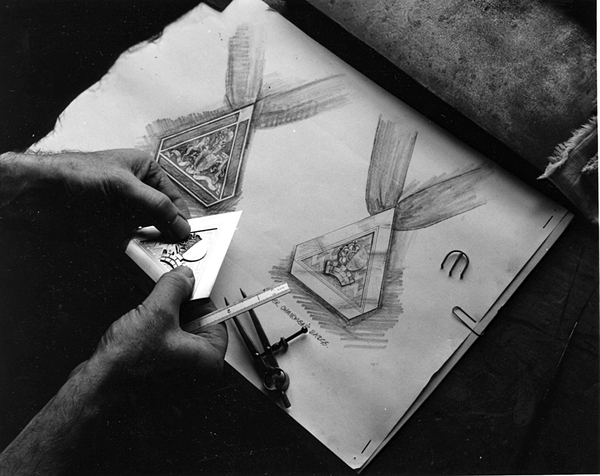 Additional image showing initial drawing for the Chairman’s Badge of Office, commissioned for the then newly formed South Yorkshire County Council. 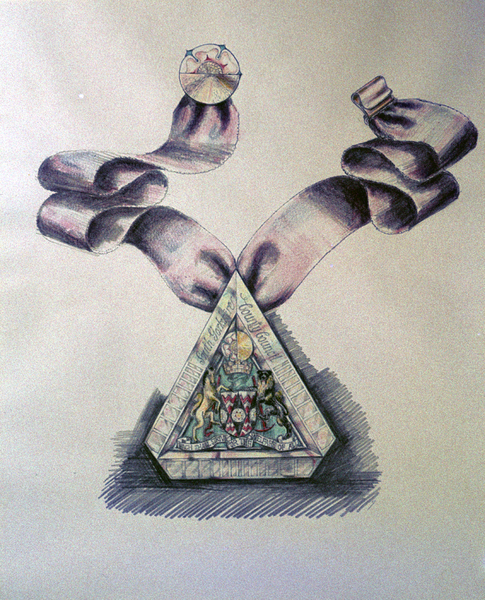 This design incorporating various symbolic elements hung on a braided ribbon as limited by the overall budget.